The Woolwich Fire Company is 100% Volunteer. Our monthly business meetings are on the third Tuesday of January, March, June, September, and October. In December we meet on the second Tues. The meetings begin at 7 p.m.
Our junior firefighter program begins at age 14. 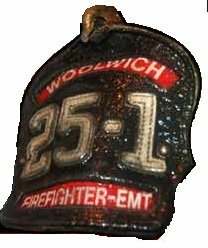 If you are interested in joining the Woolwich Fire Company, come and visit us on a meeting night. Click on the link below and download our membership application. Don't forget to check out our website or contact us on Facebook. Please complete the form below and one of our officers will contact you with more information. The station's phone number is 856-467-2195.